We want you to have peace of mind even when the unexpected happens, which is why Uber maintains auto insurance on your behalf that is designed for ridesharing activity in case you’re in a covered accident while you’re online. By teaming up with top national auto insurance companies, we are continuing our commitment to help driver-partners and riders have a sense of security. 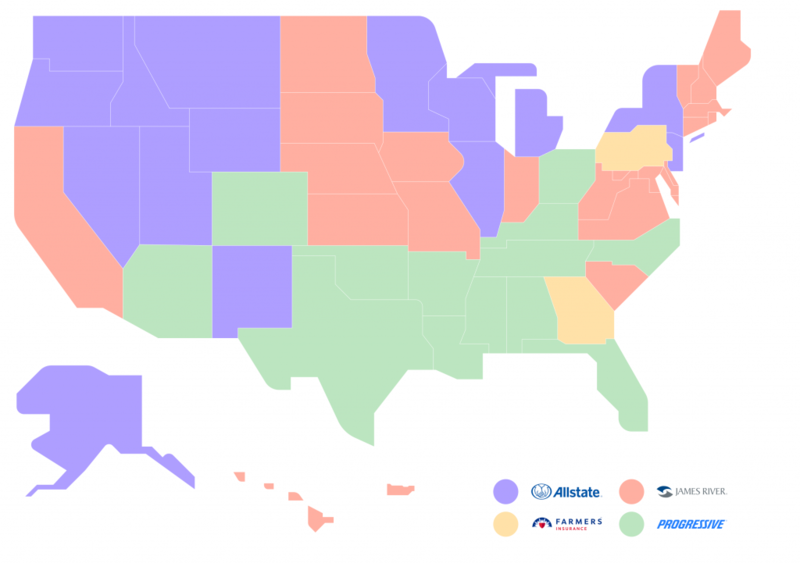 The insurance carrier in your state may have changed. Please refer to the map below to see which carrier insures driver-partners driving on the Uber app in your state if you drive under the Transportation Network Company model using your personal vehicle. This Insures bodily injuries or damages you’ve caused to your riders, people in other vehicles, pedestrians, or property. Coverage limits vary by state but are at least $1,000,000. This insures you and your riders if an accident occurs on a passenger trip and another driver is at fault and doesn’t have sufficient insurance. Additionally, this insures hit and runs where the at-fault driver cannot be identified. Coverage limits vary by state but are at least $250,000. 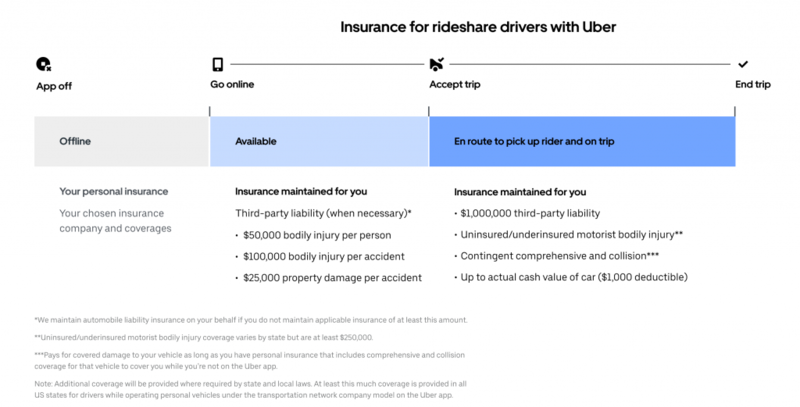 As long as you maintain comprehensive and collision coverage on your personal auto insurance, Uber’s insurance will kick in and provide physical damage coverage for your car up to its actual cash value, regardless of who is at fault. There is a $1,000 deductible that you must pay first before this coverage applies. This means that you would pay less out of pocket if your car is damaged while driving with us. The information above applies to drivers that operate under the Transportation Network Company model using their personal vehicles. Uber also partners with drivers that are commercially licensed and insured for limousine, livery, black car or private hire and does not apply to those trips including all vehicles licensed by the New York City TLC. Coverage for vehicle damage and liability arising from those rides are covered by the commercial automobile insurance. *Information about Lyft’s contingent comprehensive and collision coverage deductible is from Lyft’s website as of February 21, 2019, and the deductibles described may be lower in certain circumstances, such as for vehicles rented through Lyft’s Express Drive program. Coverage and deductibles may also vary by location.